This captivating bouquet is luxuriously elegant. 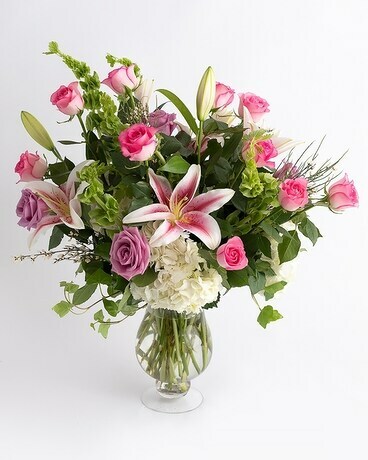 Pink and lavender roses mixed with white hydrangeas, star gazer lilies, bells of Ireland and ivy. Luxe is a true testament of your passion and love.